Heather Hardcastle Feb 2, 2015. “Today’s report underscores that, when it comes to the safety of large-scale mines, B.C.’s track record speaks for itself. The Mount Polley disaster is a stark example of B.C.’s stewardship of a project that the government and the developer claimed was safe. We can’t let a similar accident taint the rivers of the transboundary region along the border between northwest B.C. and Southeast Alaska,” said Mark Jensen, mayor of Petersburg Borough, one of Southeast Alaska’s largest fishing communities. The independent review panel appointed by the B.C. government concluded the dam failed due to a design flaw which was not caught in the permitting process. It stemmed from a portion of the dam’s foundation being built on glacial soil that proved to be unstable as the tailings pond grew heavier. One of the engineers on the panel described Mount Polley as a “loaded gun” waiting to go off. The panel recommended that B.C. adopt better practices and use best available technology with safety a priority over economics. 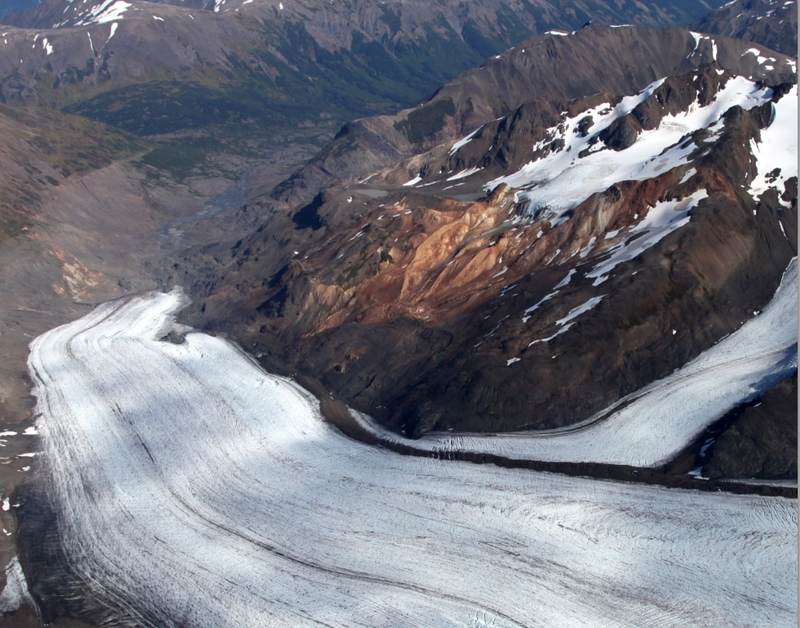 Alaskans are concerned that such fundamental changes in B.C. mining practices won’t be adopted due to time and expense and that there is no guarantee that such changes will actually reduce the long-term risks of transboundary mines. Mount Polley mine owner, Imperial Metals, is constructing a much larger mine, Red Chris, in the northwest B.C. headwaters of the Stikine River, one of Southeast Alaska’s most prolific salmon producers. A recent independent review of the Red Chris tailings storage facility found serious design flaws, raising concerns that a similar Mount Polley-style disaster would contaminate Alaska waters. Despite this, Imperial Metals still plans to open Red Chris mine in early 2015. “Under the Boundary Waters Treaty, the U.S. and Canada are both committed to not polluting waters on their own side of the border to the injury of health or property on the other side of the border. Canada is not taking their treaty obligation seriously. We ask the State Department to work with Canada to ensure the treaty is respected and our interests are protected,” said Heather Hardcastle, a gillnetter and co-owner of Taku River Reds based in Juneau. “The Unuk River has been kept wild by the people of Southeast Alaska. The importance of the health of the Unuk to our commercial seine, gillnet and troll salmon fisheries can’t be overstated. To not have all concerned parties at the table when discussing projects of this magnitude is a mistake. I’m calling on Alaska Governor Bill Walker and on Secretary of State John Kerry to help get us to the table now,” said Bezenek. This is more than just contaminants, it is also about the fish. Salmon do not respect the border either and these mines will destroy vast amounts of habitat. We need an international solution that brings in the Tribes, communities and fishermen in SE at the table. Alaska DNR does not speak for SE.